NIA CHARLESTOWN NEVIS (February 26, 2014) – An official of the Social Services Department on Nevis, expressed satisfaction that the message denouncing Child Sexual Abuse had begun to take root on Nevis. 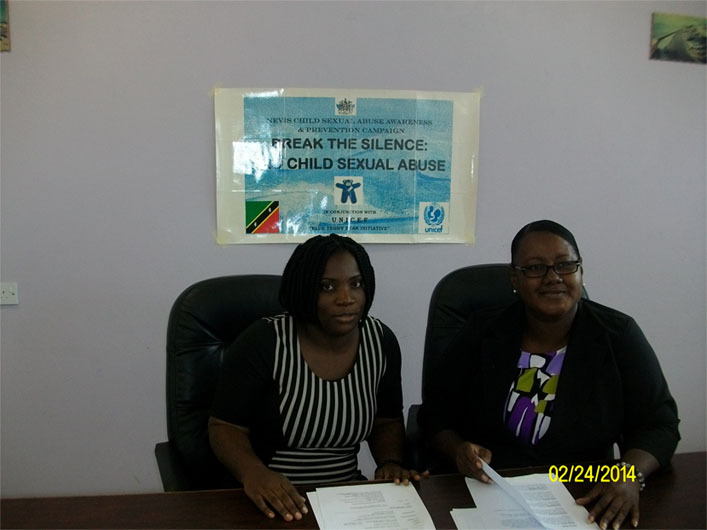 Director of Social Services in the Department of Sandra Maynard told the Department of Information in an interview on February 24, 2014, that though it was too early to tell of the impact of the Department’s Child Sexual Abuse Awareness Campaign, there were promising signs that Nevisians had begun to embrace the message. “I have been in this job for 20 years and it is my opinion, that child sexual abuse was an issue that people didn’t even talk about and to me, we have been able to sort of put the issue out there in the community. While it is too early to talk about an overall impact since the campaign is fairly new, I would say that what is encouraging to us, is the fact that people are more willing to talk about the issue. “So we have gone from a position of Child Sexual Abuse being a taboo discussed and spoken to people willing to condemn it. To this point, we have gotten predominantly encouragement and support for the work we have been doing to bring the issue to the fore,” she said. Since the United Nations Children’s Funds (UNICEF) backed campaign was launched in Nevis in 20 13, Maynard said the Department had been actively engaging the communities on the issue through meetings with church groups and youth organisations continued to take the Good Touch talks to schools. They have also embarked on a series of electronic Public Service Announcements (PSA) aired on local television station Nevis television Channel 8 and recently introduced high profile persons in the community. Deputy Premier of Nevis and Minister of Social Development Hon. 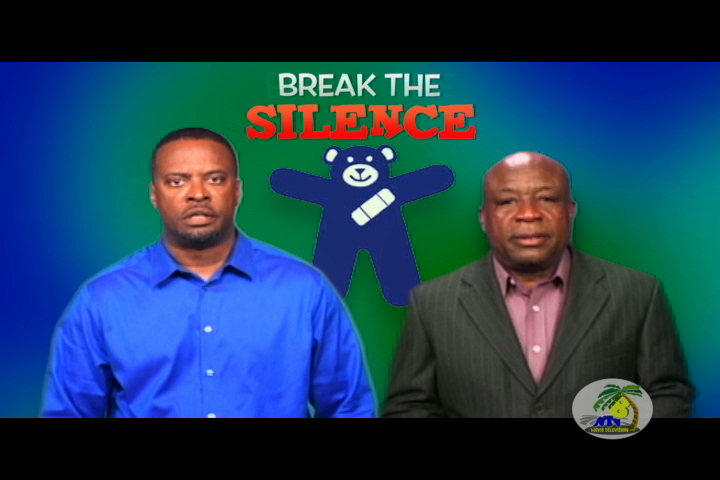 Mark Brantley and former Minister of Social Development Hensley Daniel teamed up to publicly condemn Child Sexual Abuse, a PSA which appeared for the first time on NTv on February 25, 2014. The Director commended both men for their support of the Department’s continued effort to take the message of Child Sexual Abuse to the Nevis community. “We want people to see the two politicians together and the ad is to send the message that Child Sexual Abuse is not a political issue. t is not subjected to a particular class it is a social problem that we need to address. “We were especially thankful for the two men, Hon. Mark Brantley and Mr. Hensley Daniel, for stepping outside of politics to address an issue that is more humanitarian and crosses every boundary and so, we are hoping that just their presence in the ad will draw attention to the issue and that is our focus right now, putting the issue on the table and we want to stay in this awareness and sensitization mode for some time but the campaign will evolve as we go along,” she explained. However, Maynard said despite the increasing support and condemnation by the Nevis Community, actual reporting of Child Sexual Abuse left much to be desired but remained hopeful that that too would change with time. “We are mindful, however, that the support and general condemnation of child sexual abuse is different from actual reporting and we are hoping that with the intensified campaign and the plans we have going forward, that slowly, slowly but surely, the response we are looking for would be more evident. “This is a small community and people are generally afraid of the repercussions of reporting and we would have to be looking at measures to deal with that but for now, you can call Social Services of the Special Victims Unit at the Charlestown Police Station if you even suspect that a child is sexually abused. From that report an investigation will be done. The counsellors and the case workers in the Department work closely with the Unit to deal with these matters,” she said.